WILLOWS, Calif. -- The quarterback ran one last play against thin air, against an opponent who did not exist, and then he turned away from his teammates and dropped face-first into the grass. "Quit screwing around," someone said, and when it was clear the quarterback wasn't screwing around, the coach knelt down, felt for a pulse and attempted to resuscitate him. Someone ran to fetch a pair of scissors to cut through the quarterback's jersey and shoulder pads, and everyone else stood there and waited for the quarterback to rise again, for this stubborn hallucination to dissipate and the tedium of football practice to resume. 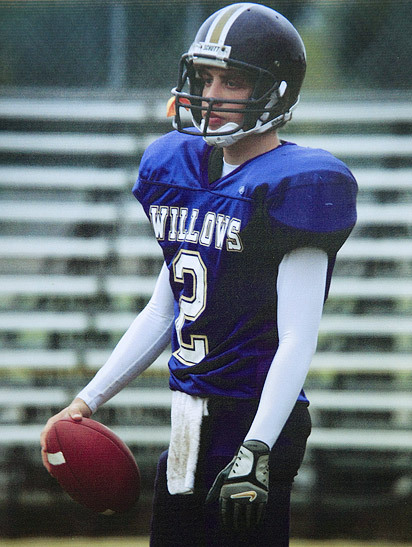 Junior Brian Parks was the heir apparent at quarterback for Willows when he collapsed during practice in August 2006. It did not take long at all for the paramedics to arrive. In the town of Willows, nothing is very far from anything, which is why people move to this part of California in the first place. There is one major thoroughfare in Willows, Wood Street, and the worst traffic for miles around can be found in the Wal-Mart parking lot, and the hospital is located approximately three-tenths of a mile from the football practice field where the quarterback lay, unable to breathe. When the paramedics showed up, they couldn't believe what they were seeing, either. In a town with a population of little more than 6,000, where many of the families have lived for generations, where people sometimes introduce themselves by surname, there is no such thing as a stranger. Three of the paramedics were former students at Willows High School, which stood just across Wood Street from the practice field, a block east of the hospital. While they worked, the quarterback's mother, who had been painting her house with a friend, dropped her brushes and drove three blocks, arriving at the field while the ambulance was still there. "Get in the car and pray," the coach had told her when he called. "Just start praying and don't stop." The ambulance departed. The quarterback's mother drove behind it. On the practice field, the quarterback's teammates stood dazed, unsure of what to do or where to go or whom to call, because nothing like this had ever happened before, not in Willows, where, very much by design, nothing ever happened. The assistant principal heard the news from an office aide who was also a volunteer firefighter. He alerted the principal, and they darted across Wood Street and out to the practice field and found a burly assistant football coach on his hands and knees, weeping. "It's not good," the assistant coach said. The temperature was 92 degrees, but it couldn't have been the heat that felled the quarterback because it was often much hotter than that in Willows in mid-August, and the quarterback had gone down -- and that's how they describe it, even now, as the day Brian Parks went down -- just a few plays into practice. In the ambulance, the coach kept up his CPR, and the quarterback exhaled -- more of a reflex from the drugs used to stimulate his heart than any sign of a revival -- and the coach thought he felt a pulse. He said, "We're going to make it." And one of the EMTs just stared at the coach, knowing the truth, knowing the quarterback was already gone, his eyes reflecting back to the coach the utter surrealism of the moment: How could this be? How was this even possible? 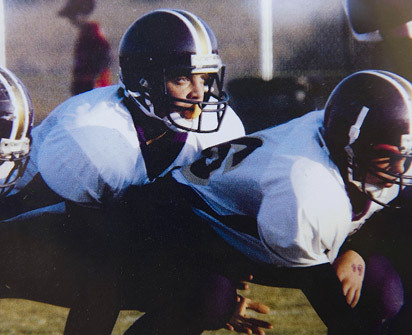 Another technician, one of the few who did not know the coach personally, told him he could use a mask to help the boy breathe, that he did not need to exhaust himself by continuing to force air from his lungs into the quarterback's lungs. "It's my kid," the coach told him, and then for quite some time, no one said anything at all. Parks' death was the first shocking event to shake the Class of 2008. 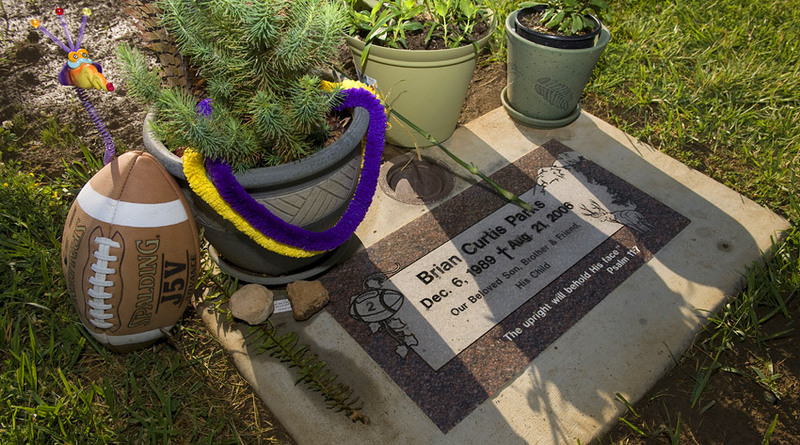 On the afternoon of Aug. 21, 2006, Brian Curtis Parks, 16, was pronounced dead at Glenn Medical Center in Willows, of a cause yet to be determined. Shortly afterward, several of the town's authority figures held a meeting outside the emergency room and tried to determine what exactly they were supposed to do next. 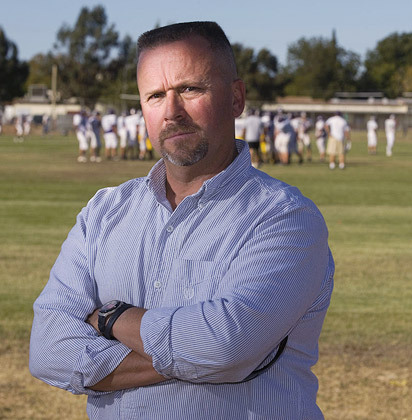 The principal, Mort Geivett, was new in town, as was the superintendent, although he had grown up in Orland, the town just north on Interstate 5 and the home of Willows' traditional football rival. His name was Steve Olmos, and he had moved here from Los Angeles because he wanted to find a safe place to raise his children, because he had seen enough violence, and because he couldn't imagine a safer place in the entire known universe than Willows. Seriously: What were the odds of a football coach's son dying in his father's arms? A number of small-town clichés hold true in the modern era, perhaps none more so than the maxim that news travels fast, especially when that news involves teenagers. Within minutes, through a series of e-mails and text messages and MySpace postings, everyone in town had heard about Brian Parks. The school brought in grief counselors and bottles of water and boxes of tissues and opened up the gym for the students, and hundreds showed up because they didn't know where else to go. At one point that evening, the coach, whose name is Curtis Parks, showed up and addressed the students and told them they had to move forward. The coach was broken, and he said as much, comparing himself to a bicycle missing a seat and handlebars. But he assured them that he would repair himself and that the children of Willows would endure, and after that remarkable show of strength, he went home and broke down completely. There were approximately 115 members of the Class of '08 at Willows High School, and every one of them knew Brian Parks. How could they not? He was the heir apparent at quarterback, the coach's son in a town where football was the unifying passion. His classmates viewed Brian as the type of kid whose charm allowed him to transcend cliques. "He didn't have enemies," says his teammate and close friend, Nathan Michaud, who had known Brian Parks since they attended day care together. "He may not have liked certain people, but he never would show that he didn't like them." Just three hours north of the Bay Area, Willows is far removed from big-city California. Brian counseled at church camps and worked with children in the local parks and recreation program; he partied, but he didn't drink much, if at all. "Kind of a pretty boy," his friend Walter Michael says. Brian worried often about pleasing his father now that he had inherited the starting quarterback job (he was not a great athlete, but he had huge feet that the coaches hoped he might soon grow into). He had an enormous shock of curly hair he had been cultivating for months -- to the chagrin of his mother, Cindy -- and he had a girlfriend named Devin who played field hockey in Corning, 30 miles away. He also had many admirers, including a classmate named Kayla Arnold. Kayla's mother, Raina, used to drive a school bus; now she worked at the elementary school, and every morning, because their parents arrived at the school early, Brian and Kayla -- who also worked at the parks department -- arrived early at school, as well. There is only one indoor hallway at Willows High School, adorned with blocky medieval-themed murals that have endured for decades despite the protestations of generations of students who would like to modernize the decor. None of the lockers actually have locks on them because nobody has ever deemed locks to be necessary. In the morning, Brian and Kayla would sit in the hallway alone and discuss their lives, and at times they engaged in a pubescent version of "My Fair Lady," with Brian giving Kayla advice on how to dress and where to shop (Abercrombie & Fitch, the Gap) and how to attract boys. Kayla was stubborn and outspoken and flighty and impatient. She was on the tennis team, although she spent more time socializing with her opponents than she did preparing for her matches. You want to know Kayla? This is Kayla: For a while, she tried using a natural supplement to improve her memory, but she kept forgetting to take the pills. Every week, she called the director of the parks and rec department to ask what time she was due at work, even though the time never changed. She argued with teachers over her grades and negotiated her way out of trouble using food as currency. When her mother presented her with her first car, a clunky Oldsmobile instead of the truck she wanted, she cried and asked whether she was being punished. Once, in the ninth grade, she got into a fight in the hallway, and Jerry Smith, the assistant principal, pulled both girls into his office and, in a classic attempt at disarmament, asked them whether they truly had arrived at school that day with the intention of fighting each other. The other girl said no. But Kayla idolized Brian -- he was the quarterback, and he was going to be a star in this town soon enough, after all -- and she heeded his advice and began dressing the way Brian dressed. After he died, she visited his grave often, and she kept a scrapbook of news clippings about Brian to sort through her grief. And maybe she loved him a little, in the way teenagers harbor deep and vaguely irrational crushes that feel a lot like love. When he died, she wrote on her MySpace page, "I miss you bri. thanks for the good times." And 20 months later, when Kayla Arnold fell violently and inexplicably ill while vacationing near San Francisco, when she also died for reasons that could not be easily explained, those words remained on her page. The athletic teams at Willows boast a nickname true to the small-town feel. 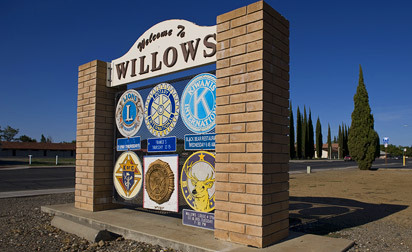 The town of Willows is impossibly far removed from the California that has been packaged for public consumption. It is nowhere near a beach or a fashionable ZIP code; the story goes that an exchange student once arrived in town and asked why no one was surfing. It is bordered by fields of rice and almonds and walnuts and olives. Downtown has been subsumed by the gaping maw of Wal-Mart. Most of the local public officials are Republicans. The preferred method of conveyance is a pickup truck. The office of the assistant principal is a virtual shrine to Dale Earnhardt Jr. The major employer, beyond the government (Willows is the seat of Glenn County), the school system and the local farms, is insulation manufacturer Johns Manville. And the biggest dates on the social calendar in the fall are high school football games. Even people in surrounding towns tend to think of the kids of Willows as "country hicks," according to Nathan Michaud, whose father owns a crop-dusting business. The nickname of the school's sports teams: the Honkers. Seriously. The Willows Honkers. Go Honkers! Locals say the name has to do with the geese and migratory birds that foul the town's many beautiful trees. But come on: How quaint, how "of the American heartland," as our politicians might say, is a town with a football team known as the Honkers? Donations in the name of Brian Parks can be sent to Willows Christian Church, 200 S. Plumas, Willows, CA 95988, Attn: Brian Parks Memorial Fund. Donations to a scholarship fund in memory of Kayla Arnold can be made at Bank of America. Donations to the Steven Furtado Memorial Fund can be made at any U.S. Bank branch. So here it is, this place straight out of "Friday Night Lights," a red-state town wrapped in a blue-state shell, just three hours north of the leftist demons' gate of Berkeley and San Francisco, an hour north of the capital city of Sacramento, 40 minutes from the nearest shopping mall in Chico, a little speck on the map known to most outsiders as Exit 603, a pit stop off I-5 for truck drivers burning overpriced diesel fuel on their way back and forth from Oregon. At the west end of Willows, just off the freeway, are the amenities of the road: cheap restaurants, budget motels, a Starbucks and several gas stations. On the other side of the overpass is the Wal-Mart, and across the road, a tiny airstrip with an even tinier 24-hour diner, Nancy's Airport Cafe, set just off the taxiway. Nancy's is one of the last of the independents at this end of town, and it is a hangout for the children of Willows, the place to meet up when you're not ready to go home at night, because it's either a slice of homemade pie at Nancy's or the Moons Over My Hammy at the Denny's a block away. There's not much else to do at night except hang out either at Nancy's or someone's house, and although this makes for a generally boring formative experience, that protective bubble has always been the allure of small-town family life. In Willows, parents rarely have to ask where their children are because generally they are in one of a few places, and if they happen to be drinking, someone's parents will pick them up and drive them home. This is what we mean when we espouse small-town values, isn't it? That there is safety in familiarity. That there is comfort in tedium. And it's true that sometimes, even in small towns, this bubble is pierced, and terrible things happen, and children die. But often, there are lessons in those tragedies: Don't drive drunk. Don't drive recklessly. Wear a helmet. Look both ways. Keep with the right crowd. Don't do drugs. And those lessons facilitate the repair of the bubble, and those lessons facilitate the return to normalcy. But this is the spiritual quandary the people of Willows have had to face over the past two years, amid a cruel and relentless series of circumstances: What happens when the bubble is pierced over and over and over again, when good and well-meaning and otherwise healthy children keep dying? And what happens when there are no distinct and discernible lessons in any of it? At left, Cynthia Dreesman, Dennis Johnson and Kyle Cannon watch what little traffic travels in front of them on Wood Street, Willows' main thoroughfare. Wal-Mart is the epicenter of the town, located just off Interstate 5. Months passed after the death of Brian Parks, and though Willows was perhaps quieter than usual, the members of the Class of '08 progressed toward adulthood the way high school students often do: They passed their driver's tests, they worked menial jobs, they applied to college, they fretted about college, they hung out, they raged at their parents, and they partied. They did not forget Brian Parks -- how could they forget when he had gone down right before their eyes? -- and they laid out his No. 2 jersey on the bench at every game that first fall (when they somehow made it to the sectional semifinals). They visited his grave at the cemetery at the far end of town, and they dropped in on Curtis and Cindy Parks and brought them food. But they were beginning to process it, to allow it to settle in their minds, to find some measure of acceptance. The cause of Brian's death had been determined -- a heart defect known as spontaneous ventricular fibrillation, a curious condition that doctors insisted could have felled him on the steps of a medical center with little hope for revival. Although it raised as many questions as it answered, at least, they figured, it was something. 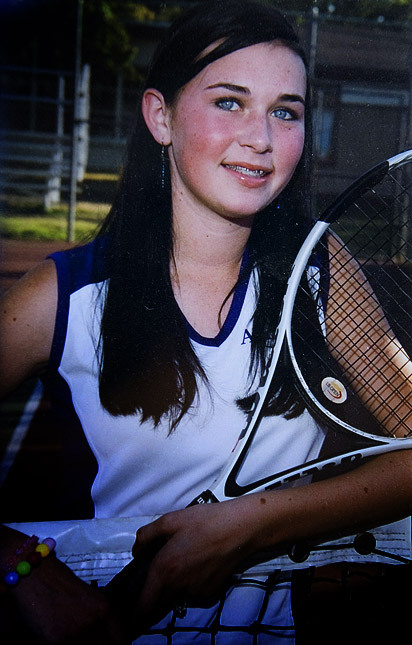 Kayla Arnold played tennis at Willows, but she spent more time socializing with her opponents. 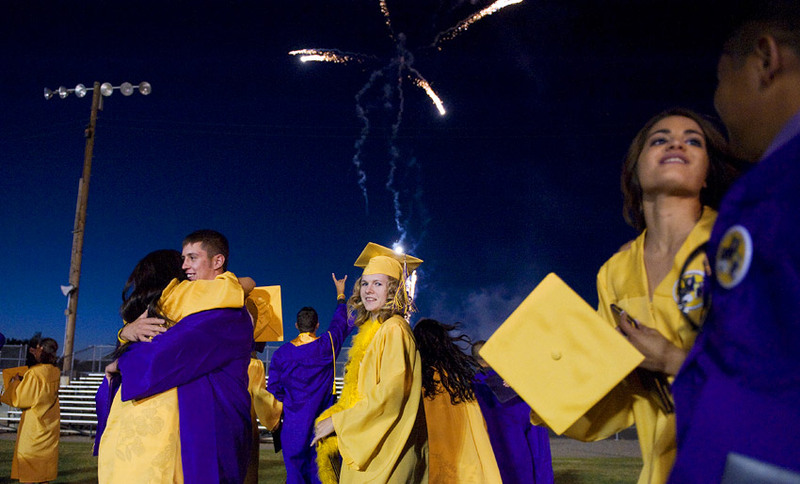 By April, graduation was just two months away, which meant most of the Class of '08 would soon leave Willows for community colleges, four-year colleges, military assignments or vocational training programs, and many of them would never really come back again. "The kids were moving on," says Jerry Smith, the assistant principal. "The class was moving on. And then Kayla." And then Kayla. She'd been suffering from bladder infections all year, and she was impossibly thin to begin with (she'd been drinking protein shakes to try to gain weight), and a series of doctors had put her on a kaleidoscopic regimen of antibiotics. When one course of antibiotics made her violently ill, a doctor put her on a potent anti-nausea medication. On her MySpace page, she described herself as "sick and dizzy from medicine," and yet one weekend in April, she insisted on accompanying her boyfriend and her mother to the Bay Area to visit her aunt. She didn't want to stay home with her grandmother, who also lives in Willows, in a house so close that Kayla often retreated there when she fell out with her mother. This was Kayla being Kayla, obstinate and insistent on seizing any opportunity to explore the world beyond Willows. Typically, she won; she went on the trip. "My sister and I ran in a race in Santa Cruz that morning," says her mother. "She stayed on the beach with her boyfriend and just kind of threw up, you know, and didn't feel good." Raina Arnold checked her daughter into the hospital that night. More medications, more imprecise diagnoses, her prognosis suddenly growing bleaker, the text messages passing back and forth, people in Willows spreading rumors that Kayla was dead already. The next day, Smith called the Class of '08 to the cafeteria and told them what they had already figured out for themselves. Twenty-four hours later, Kayla Arnold was gone, for reasons that remain unclear to doctors and to her own family, reasons that might or might not have to do with the medications that made her sick. They are still awaiting a definitive cause of death. In the days that followed, the Arnolds had to say something, and they relied on a spokesman who had grown close to Kayla in the past year to deliver a statement to the local newspaper. "I know the community will rally behind the family the same way they did last time," said the spokesman, whose very presence served as a testament to the interconnectedness of a town where nothing and no one is ever more than five minutes away. "Kayla was a wonderful young lady," Curtis Parks also told the newspaper. Kayla is buried a few feet from her good friend Brian Parks, who died just 20 months earlier. After Kayla, the Class of '08 lurched toward graduation. For the first time, the world no longer seemed compact and manageable. The world seemed indiscriminate and unforgiving, and it didn't seem to give a damn where they lived or how they behaved. Who among them would it swallow next? Among the impending graduates was an Eagle Scout named Steven Furtado who also bagged groceries at the Sani-Food supermarket, played the trumpet in the band, and, at 5-foot-9, 170 pounds, was an undersized center and defensive lineman on the football team. He had delivered one last snap before Brian went down that day in August 2006, and he knew Kayla a little, too. In fact, there are photographs of Steven standing in front of Kayla's coffin because Raina Arnold hired a professional photographer to shoot her daughter's funeral. Her friends thought this was bizarre, but she didn't care. She knew she would remember none of this later, and she felt, just as her daughter had recorded her thoughts in diaries and scrapbooks and in endless notes to herself so as not to forget, it was her duty to document everything that came after. Center Steven Furtado, right, was on the practice field the day Brian died. Less than two years later, Steven would become the third Willows student to die. Steven did not really travel in the same groups as Brian and Kayla. But like Brian, he had a group of close friends, an inner circle, and, like Brian, he had enough self-confidence to indulge his own interests without fear of mockery from his peers. It is one of the perks of growing up in a small town that cliques are often weak enough to be transcended. It isn't that Willows doesn't have them: There are growing numbers of Hispanic and Chinese immigrants, and there is an inevitable amount of stratification between those who own sprawling farms outside of town and modest houses in town, and those who can barely afford to live in the low-slung apartment complexes near I-5. But there is an unmistakable familiarity, as well: Everyone knows certain things about everyone else in town, which can be both humiliating and comforting. "I like knowing who people are," Nathan Michaud says. "Maybe you don't get along with them, but you know them. You know what kind of people they are." Steven's reputation was as a hunter and a skilled marksman, as a quiet kid who seemed intent on experiencing as much as possible. He stayed up late and read fantasy novels about dragons and occasionally dyed his hair odd colors, and he didn't care much if his friends thought his whims and his passion for scouting, band, auto-shop (his father spent 25 years as a mechanic), golf and elk-hunting to be a bit of a goof. In the months after Brian's death, he'd had trouble sleeping and struggled with narcolepsy; at one point, he nodded off while watching game tape with his football teammates, who occasionally referred to him as "Sleepy Steve." But with graduation fast approaching, Steven had also found an additional measure of personal happiness: He had a girlfriend. Her name was Jenny, and they met at an honors band camp in Sacramento, and she lived in Chester, 100 miles northeast of Willows, a town of 2,000 that by all accounts makes Willows look like San Jose. Though they had been dating for only two months, "We really felt like they were going somewhere as a couple," says Steven's father, Dan. In May, four weeks after the death of Kayla Arnold, Steven Furtado marched with the band in the annual Willows town parade, known as the Lamb Derby. That night, he drove to Chico to buy a Mother's Day gift for his mom, then to Chester to sleep over at Jenny's house. Her prom was that night, but she was due at work the next morning, at the Holiday Market, and they skipped the dance. When Steven hadn't arrived home by 11 the next morning, his mother, Denise, began calling her son's cell phone. It went straight to voice mail. Dan Furtado called the market and asked for "just Jenny"; he realized then that he didn't know her last name. No one had heard from her, either. They began to think -- they began to hope -- that perhaps their son and his new girlfriend had indulged in one of those youthful indiscretions that seniors on the verge of graduation are wont to engage in. Maybe they'd blown off everyone and everything and gone to the lake and gone swimming. 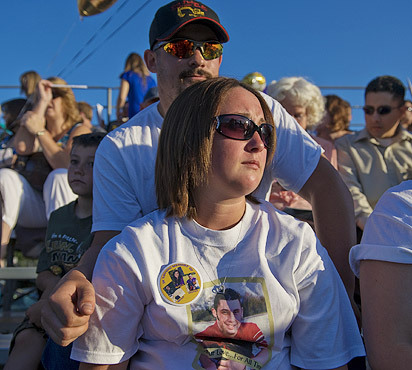 Ashley Fisher, with husband Chris, wears a shirt honoring her brother Steven Furtado at Willows' graduation. Finally, Dan Furtado called the sheriff's department. The person who answered the phone said an officer would call back. After that, every phone call the Furtados placed went unanswered, and they felt their own quiet reality giving way to the surreal movie-of-the-week tension that had first swept through Willows 21 months before. At 6 p.m., a police car pulled up to the Furtados' house on Third Street, the one with the BEWARE OF DOG sign on the front gate and the paw prints all over the front door. Two people got out of the car. One was Dan Furtado's niece, Steven Furtado's cousin, Brandy McDonald, who worked as a deputy for the Glenn County Sheriff's Department. Dan Furtado did not wait for the knock. He walked out and met them in the street. That afternoon, another sheriff's deputy placed a call to a friend, Jerry Smith, who, in addition to being the assistant principal at Willows, is also (A) a local scout for the Houston Astros and (B) a bail bondsman. He carries business cards for all three professions. He assumed this was a call regarding bail. It was not. "I guess this has something to do with one of our kids, huh?" Smith said, and the deputy (whose name was Jim) said nothing, and Smith, who had been barbecuing for his wife and daughter on Mother's Day, walked out to his driveway to wait. When the deputy arrived, Smith could see it in his face. He said, "Jimmy, who is it?" The deputy could not speak. "Who is it?" Smith asked again. From left, Manuel Molina and Raina Arnold, parents of Kayla Arnold, and Cindy and Curtis Parks are honored at the Willows High School graduation in June 2008. On Friday, June 6, at 8 p.m., the Class of '08 held its commencement ceremony in the football stadium, just across Wood Street from the field where Brian Parks went down. The graduates proceeded through an arch with a pair of star-shaped banners on either side. The Willows Senior Singers performed a version of Sarah McLachlan's "I Will Remember You," and people crowded the bleachers and some of the old-timers set up lawn chairs on the grass, and the younger children chased after each other in the end zones, their screams drowning out the silence. Mostly, the people of Willows stared out into the encroaching darkness in a vain attempt to process what the hell had happened to their town over the past 22 months. This latest sequence of events had prompted a rare occurrence in a largely media-free pocket of California: a tabloid news story, one that was picked up by newspapers and television stations in Sacramento and beyond merely for the staggering and heartbreaking shame of it all. The bodies of Steven Daniel Furtado and his girlfriend, Jennifer Carmen Carrigan, were discovered in Carrigan's house at noon on Sunday, Mother's Day, by Carrigan's own mother, Joan. They had each been stabbed multiple times, allegedly by Reyes Carrillo, Carrigan's classmate and ex-boyfriend, who was in custody. Officers described the crime scene as especially brutal. 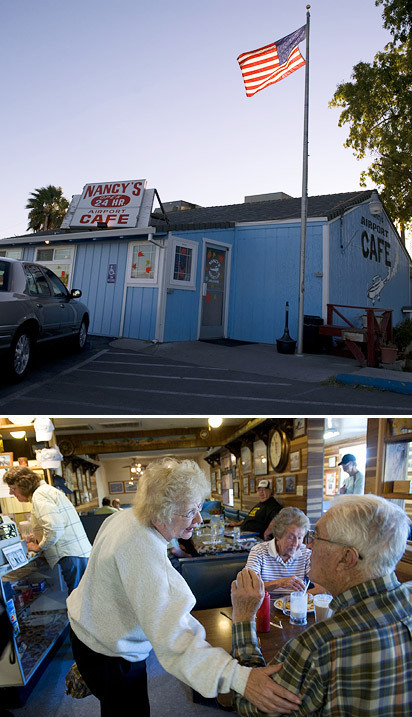 Nancy's Airport Cafe is a popular hangout for Willows students. On a recent evening, Falina Edwards, of Orland, Calif., center, chats with Paul Heyrend, right, of Artois, Calif., and his wife, Alice. Edwards said she has been saddened by the tragedies in Willows. "When we lose our children, it has a tremendous impact in our county." After hearing the news that evening, Jenny's older brother, Billy, while speeding along a mountain road on his way back home from college in the Bay Area, lost control of his pickup truck and slammed into several trees. He died a short time later. There was nothing more to be said. Even the mental health counselors found themselves at a loss. Upon delivering the news to the Class of '08, Jerry Smith, standing before several hundred students in the school's gymnasium, broke down completely. Many broke down with him; Smith had addressed the seniors first, in the cafeteria, as he had done twice before, and they no longer wanted anything to do with that room, where they had met as a group for no other reason than to mourn. Fights started, violent disagreements in the hallway among otherwise decent kids over nothing at all. Talk of curses and hexes surfaced, and the trauma spawned two disparate reactions for mental health counselors to address: recklessness (as in, Why should I obey the rules when the rules no longer seem to protect us?) and caution. "They were thinking, 'Is it over?'" says Amy Lindsey, a counselor. "'What else is going to happen to us?'" Graduation approached in a fog; the only way the Class of '08 could sustain its collective will was by imagining more tributes and memorials. The seniors began to feel this was all they did; they'd already held a candlelight vigil for Brian on the practice field and one for Kayla in a courtyard outside the school, and now they held one for Steven in the auto shop. They'd already made up car decals memorializing Brian, and Kayla; now they made up decals for Steven. Another tribute to Kayla and Brian, at graduation, had already been planned, with the parents to receive framed portraits of their children, the matting autographed by every member of the Class of '08. This had been planned weeks ago, and Steven had signed both of those portraits. "Not in a million years -- a million years -- did I think we'd have to do one more," Smith says. "Not in a million years. A murder? Are you kidding me?" By now, they'd done scrapbooks and hung ribbons from trees and adorned the graves with flowers and glow-in-the-dark frogs and Titleist golf balls and trumpets and footballs, and they were running out of ideas. "I was kind of run dry," says Nathan Michaud. "I couldn't cry anymore. I was blank." And maybe it sounds selfish, but how were the surviving members of the Class of '08 supposed to define themselves, to mark their own passage into adulthood, amid all this mourning and remembrance? What about their identity? What about their achievements? "These kids are supposed to be happy and excited," Amy Lindsey says. "They don't want people in their faces with cameras, asking, 'How do you feel?'" At the ceremony, one of the valedictorians, Chelsea Berens, spoke of chaos theory, of the notion that "the flap of a butterfly's wing could set off a tornado in Texas," and that somehow, the universe is a series of interconnected accidents. This would be the legacy of the Class of '08: These seniors were inextricably linked to their fallen classmates and to a town that would take years to regain its equilibrium. Then another valedictorian, Nathan Michaud, who would soon leave to study engineering at Cal Poly-San Luis Obispo, stood and leaned into the microphone, and as the sky darkened, he told the village that had raised him what the loss of his friend Brian had evoked, and what the Class of '08 had come to know, above all else. "We have now learned," he said, "that life isn't fair." 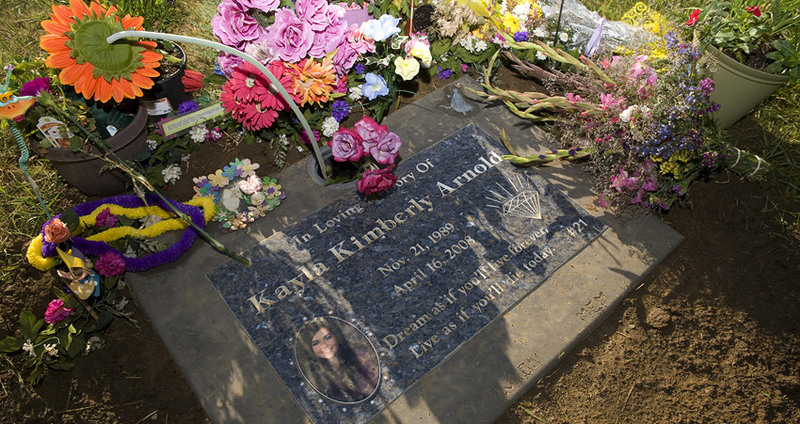 Six months later, Kayla's parents still haven't been given a definitive cause of death for their daughter. In July, several weeks before the start of two-a-days, Curtis Parks stepped outside into the beating heart of a 109-degree day, into a wilting and lifeless heat, and began to water his lawn. Summer had come down harder than usual on Willows, in a place where people had come to expect the worst. The wildfires were burning out of control up north, and the sky was the color of a bruise. The air felt toxic and the humidity lay flat from one end of town to the other, from the Wal-Mart to the cemetery. At this moment, Parks was no longer a teacher, no longer a coach, no longer an authority figure. He was planning to take a leave for the following school year and figure it out from there. He was a private citizen of Willows for the first time in his adult life. It felt odd and daunting but it was also liberating because the past two years had all been too much. He had hewed to his duties only to keep a promise he made to his son when Brian was just a waterboy -- that he would stay on until Brian's graduation. Sensing the void, the assistant coaches assumed most of Curtis Parks' duties, and the same man who wept on all fours on the practice field that day, Jim Ward, prepared to take over the team in the fall. Assistant principal Jerry Smith says the students at Willows have become more tolerant of each other in the past year. "That first game after Brian, my friend had to lead me out to the field," Parks says. "He held onto my elbow like I was walking around on crutches, for heaven's sake. I stood 10 yards away the whole night. When that game was done, it was evident these kids had lost a very dear friend. And the next worst thing would be for them to lose me." The friend who steadied him that night, Gary Enos, who owned a nearby rice farm, volunteered to drive the coach to road football games because Parks couldn't handle the emotional burden of riding on the bus. Everything reminded him of Brian. That was the thing people didn't understand: Brian was not merely his son. Brian was his best friend. During the school year, Brian would often ride home with his father or sit with him in the cab of his pickup truck so they could eat lunch together -- how many fathers and sons did that? They went hunting together up north, and Curtis drove Brian and his friends to a Cal football game down south, and Brian was set to become his starting quarterback, which would have been a fitting culmination to a three-decade coaching career. Now, Curtis didn't know how to bring himself around again. None of it seemed to matter anymore. There were nights, not long after Brian went down, when he would stand in his backyard and stare at the sky and wonder whether he might also just go down, right there, because he could not will himself to make it back inside the house. He and Cindy kept Brian's room as it was -- the magazines and the Florida State football posters and the 2002 World Series pennant and the Xbox -- and they allowed his classmates to come through and sit on Brian's bed and take away whatever they wanted. And although their twin daughters had long ago grown up and moved away, Cindy found a surrogate in Kayla Arnold. In the morning, Kayla would bring Curtis biscuits and gravy from Nancy's, and in the afternoon, she and Cindy would discuss books and philosophy and the Lord and how all of it might fit together, then Kayla would drive herself to Brian's grave and read from a book called "90 Minutes in Heaven." "I still feel like it wouldn't surprise me to have her walk through the door, and that's just because of the connection we had with her," Cindy Parks says. "One day she looked at me and said, 'Why is God doing this to us?' And the conversations that we were having are the very things that we're now telling someone else about her." It was amazing, everyone kept saying, not just the bizarre and inexplicable sequence of events, but the way connections and coincidences seemed to manifest themselves in the aftermath. The girl who had been reading at Brian's grave was now buried just a few feet from that same grave, and another boy, photographed at that girl's funeral, was now buried several feet behind her. There were fingerprints left all over town, including on Steven's arm -- he'd been in the process of getting a tattoo with Brian and Kayla's names before he was murdered. And there were reminders everywhere you looked. On Mother's Day, after learning of Steven's death, Jerry Smith sat for a time on the bed of his truck, and when he leapt down, the first thing he saw was a scratch that Steven had left when pulling out of a tight space in the faculty parking lot. No one doubted that Cindy and Curtis Parks were the axis around which this town had come to rotate. They were quiet, self-sustaining and churchgoing people who had raised three children here, who shopped at Sani-Foods and lived on Pacific Avenue. They had been reliable neighbors, and they had maintained faith, to the point that their son was the only student in his Sunday school class before he died. Curtis had won sectional championships in his decade as head coach (he also spent nearly two decades coaching at nearby Williams High School, but always resided in Willows), yet he had never hesitated to suspend star players for insubordination. Unlike many high school football coaches in small towns, he was almost universally beloved. Even after their son had been struck down, even in their darkest hour, the Parks rushed to comfort the Arnolds and Furtados, and Curtis could no longer open a newspaper without reaching out over the phone or in person to some mourning family in a nearby community. "Now we have a forever connection," Cindy says. "We're parents who have lost kids. It's a group of folks that nobody wants to belong to, but now we do." The back window of Raina Arnold's car displays stickers honoring her daughter and Kayla's two fallen classmates. Over the course of two years, the people of Willows had done what they could to restore balance to their world, smothering all three families with condolence cards, food and donations, so many that Raina Arnold found herself writing thank-you notes to people she had never met, so many that Gary Enos actually brought Curtis and Cindy Parks an extra refrigerator, so many that when Dan and Denise Furtado opened up a memorial account, they had $10,000 in small donations within five days. It was the essence of Willows, that the same people who might be given to gossip about you in the produce section of the Sani-Foods would show up at your front door with a pot roast and tin of cookies. But of course, there was still that overarching question, lying heavy in the air alongside the smoke and the humidity, a question that refused to dissipate, a question that was posed in suddenly well-populated Sunday school classes and in the aisles of Wal-Mart and on the oft-deserted streets of downtown Willows and in the back booths at Nancy's. It was a question that no one could dignify with a proper answer because there was no proper answer. "One of the reasons why a lot of us live here is because we like the small-town pace of life," Smith says. "This doesn't happen here, you know. When it does happen, then it really brings into reality that anything can happen to anybody." As the Willows Senior Singers performed a version of Sarah McLachlan's "I Will Remember You," Joshua Enos, left, and Chelsea Berens wipe tears from their eyes as classmate Nathan Michaud reflects. In September, there was a pep rally that consisted of approximately 400 high school students, segregated into classes, standing in a gymnasium and screaming at each other. It was a quintessential small-town moment: band wailing, cheerleaders chattering, handmade signs taped to the walls, the seniors razzing the juniors razzing the sophomores razzing the freshmen, who were not permitted to stand merely because they had not yet earned the right to stand. The rally culminated with a flag football game between the varsity and junior varsity, and with Smith delivering a PG-13 motivational speech directed at the opponent in the first home game of the season, Winters High, a team that happened to be coached by his own stepson. It felt good, to be back at football again. It felt like -- well, it felt something like what normal used to feel like around here, if that even made any sense anymore. Two years earlier, football had been the source of the breakdown; maybe now football could inaugurate a restoration for the classes of '09 and '10 and '11 and '12, for a generation of children scarred by this seemingly impossible sequence of events. "A town needs its children, just as much and in the same ways a family does," author Russell Banks once wrote. "It comes undone without them, turns a community into a windblown scattering of isolated individuals." Head coach Jim Ward, right, and assistant Mike Biggs have taken over the football squad after Curtis Parks' departure. Perhaps that's what scares them most, that somehow these deaths will tear them apart. This, the people of Willows could not abide. And so they showed up early on a Friday night in September, and they watched the junior varsity game, and they lined up to purchase the boosters' homemade tri-tip steak sandwiches, and they filled in the empty spaces in the bleachers. Raina Arnold showed up, and so did Dan and Denise Furtado, even though they had attended a preliminary hearing for the suspect in their son's murder the day before. "I can't see leaving this house, or leaving this town, or leaving these people," says Denise Furtado, whose husband showed up at the game wearing a T-shirt bearing his son's photograph. "I really feel for people who have to go through things like this alone. The question of leaving is not even a question. I have no desire to leave at all." As the evening wore on, as darkness descended on Willows once again and the home team ground out a 14-7 victory, Curtis Parks stood in a distant corner of the stadium, shielded from the bleachers by an emergency vehicle parked near the gates. He was doing nothing much at all these days; to fill the time, he had started working the rice harvest on Gary Enos' farm, and it was good work because it was mindless work. Eventually, people discovered the coach's hiding place, including Nathan Michaud, and when he stopped to talk, the coach's perpetually rheumy eyes filled with something like tears. Nathan had changed, even since graduation. He had become friends with people he never could have imagined getting to know when he was younger. He still believed in the general inequity of the Almighty's attitude toward the Class of '08 -- he still did not pretend to understand why fate had royally screwed them this way -- but perhaps, he thought, these new friendships were meant as some sort of spiritual consolation. He was going to leave for college the next day, and he imagined he would return often -- maybe, someday, he would even return for good -- but it wouldn't be the same, and he understood that, and Curtis Parks understood it, too. In some unspoken way, this was the end of the beginning for both of them. The coach could not bring himself to stay for the entire game. It was a matter of sensory overload: the attention, the sympathy, the small talk, the smell of those tri-tip sandwiches, the sound of pad crunching against pad, the faces that inevitably and unintentionally evoked his son's face. In the fourth quarter, as he prepared to depart and Nathan walked off, Curtis Parks called out to him, as if he were calling out to an incarnation of himself that no longer existed. And to a boy he had known nearly as long as his own son, the coach said, "Call me every once in a while." Michael Weinreb is a regular contributor to ESPN.com. His book "Game of Kings: A Year Among the Oddballs and Geniuses Who Make Up America's Top High School Chess Team" is now available in paperback from Gotham Books. He is working on a book about sports in the 1980s. He can be reached at http://www.michaelweinreb.com. ESPN.com's Bill Williamson contributed to this story. Join the conversation about "The Lost Kids of Willows." The Class of 2008 leaves Willows bonded by tragedy. "We have now learned," Nathan Michaud says, "that life isn't fair." After San Diego's first fatal shark attack in a half-century, an unlikely pair learned to swim through the tragedy. Esther Phiri fought her way out of the slums to become Zambia's most famous athlete and a symbol of female empowerment. Why was the most intriguing figure of the 2008 postseason shown the door in Boston? Bill Simmons fingers the real villain.